At the Charlotte Fanfest on July 31, 2014, Mark James will debut this book. He has a table with Jim Cornette all 4 days. 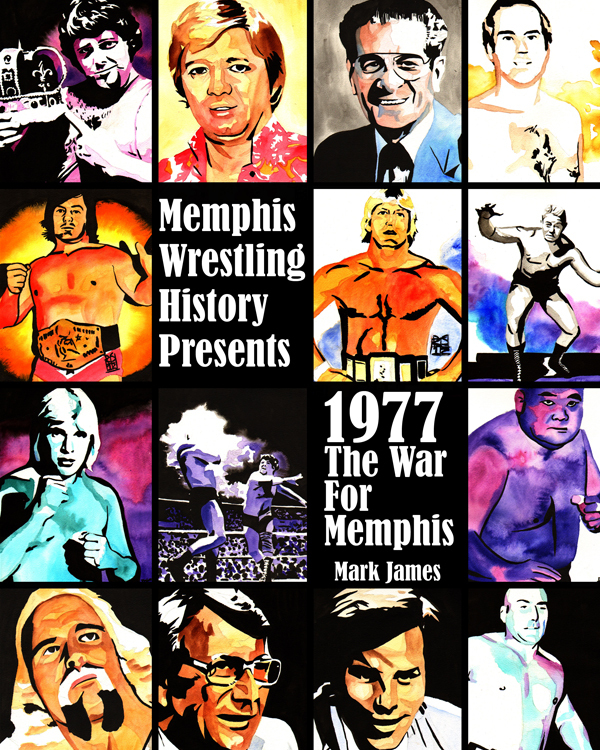 'Memphis Wrestling History Presents: 1977 The War For Memphis' by Mark James! The long awaited follow up to Memphis Wrestling History Presents 1982 is finally here! Take a look back at one of Memphis Wrestling's most important years, 1977. That year Memphis owner Nick Gulas and Memphis booker went to war over the rights to hold matches in the river city. In addition to that war, another war was brewing in the ring that summer. Jerry Lawler and Bill Dundee had arguably Memphis's greatest feud ever that ended up with 3 haircuts given before it was over. 1977 also saw the retirement Jerry Lawler and the arrival of Handsome Jimmy Valiant. 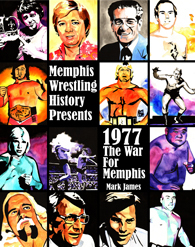 This amazing look back at 1977 has a special Foreword written by one of the men in that war for Memphis, Jerry Jarrett.